A month after a survey of optimism among San Diego area business owners reached an all-time low, an update released Thursday showed slight improvement. 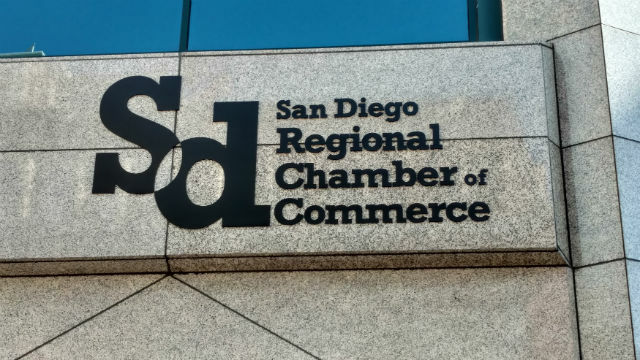 The Business Outlook Index, produced by the San Diego Regional Chamber of Commerce, still remained in positive territory. The index ranges from 100 for extremely optimistic to minus-100 for very pessimistic, with zero being neutral. A survey of around 200 chamber members in the middle of last month put the index at 16.8. The month before, it was 15.6. As recently as March, the index peaked at 27. “We tend to see a bit of a slowing down towards the end of year, which might explain a bit of the lower optimism we are seeing. But with the manufacturing and construction sectors doing well, that will likely translate into more good paying jobs that will help bring our economy and optimism up as we enter the new year,” said Dino D’Auria, executive vice president and chief banking officer at Silvergate Bank, which sponsors the survey. Business heads are asked whether, in the upcoming three months, they expect more or less revenue, an increase or decrease in the number of employees or the hours they work, and an improvement or worsening of business conditions. The survey found increasing confidence among those in the manufacturing section, with drops among respondents in hospitality, transportation, and home and garden.